Clément (Clem) Chartier, a citizen of the Métis Nation, was born at Île-à-la-Crosse, Sask., and raised in the nearby Métis village of Buffalo Narrows. He is a lawyer, writer, lecturer and activist and has served in both political and administrative capacities with numerous Indigenous Peoples’ organizations nationally and internationally. Chartier is best known for his work on Indigenous rights. 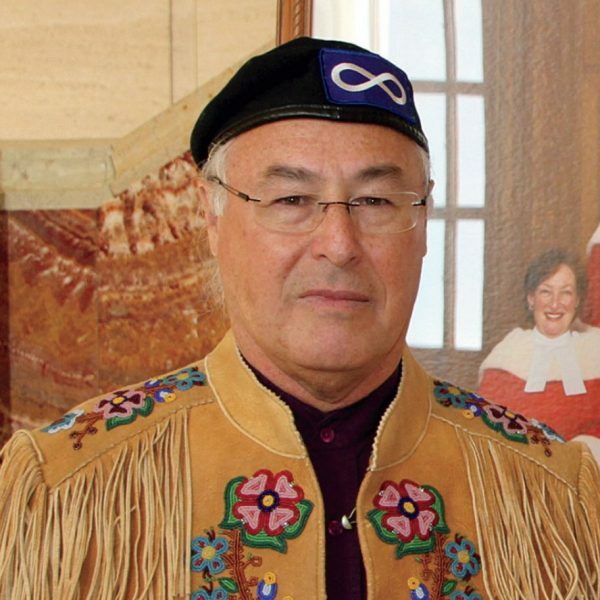 In 2003, Chartier was elected president of the Métis Nation and is currently serving his fifth term. A seasoned political figure and recipient of a Queen’s Counsel distinction for his work in law, Chartier has pushed the Métis Nation’s rights agenda at various levels of Canada’s judicial system and continues to provide counsel in ongoing Métis-specific cases. Focused on strengthening the Métis Nation from its core, Chartier’s goal is to relocate the Métis Nation’s government to the historic Red River by 2020. Taanishi! 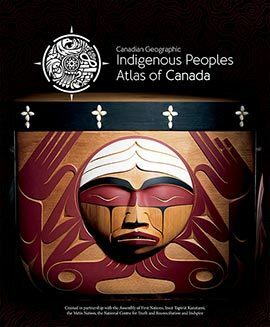 As the president of the Métis Nation, I am filled with pride and hope that the Indigenous Peoples Atlas of Canada will be a powerful tool to more fully educate Canadians about the long and proud history of the Métis Nation and the many contributions we have made in shaping the country and our collective identity as Canadians. We need only to examine older records of our history to see a fairly one-sided perspective on the land, its people and its history. These records, whether books, photos, laws or school curricula, have, for the most part, provided a negative and biased view of the Indigenous Peoples in Canada — the Métis Nation, the Inuit and the First Nations. They have also failed to recognize our inherent rights and our significant contributions to shaping Canada from long before 1867 until the present day, while fully lauding the efforts of settlers and their descendants. It is only in the last several decades that mainstream narratives have begun to include a less biased and more accurate reflection of the Métis Nation. We were sometimes referred to as “Canada’s forgotten people,” a fairly accurate term when you acknowledge that only after arduous political battles have the Métis finally been included in the Constitution Act, 1982, and further recognized by the Supreme Court of Canada in the landmark Powley (2003), Cunningham (2011), Manitoba Metis Federation (2013) and Daniels (2016) decisions. As you can see, centuries have passed since the birth of the Métis Nation in the 1700s. Our “New Nation,” as we called ourselves, played a significant role in Canada’s development, utilizing our knowledge and skills to navigate both the land and the trade and commerce that was taking place across the northwest. We stood up for our rights to be self-determining and to own land. We were significantly marginalized for seeking those rights. The remarkable resiliency of the Métis Nation is a testament to the strength and determination of our ancestors. This was particularly true after 1870 and 1885, the darkest times in Métis history, and a dark chapter in Canadian history. 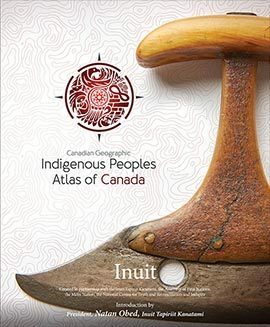 The Royal Canadian Geographical Society has boldly taken a step to address the truth with the creation of this atlas, which will help balance the historical record with other perspectives and missing pieces of history. 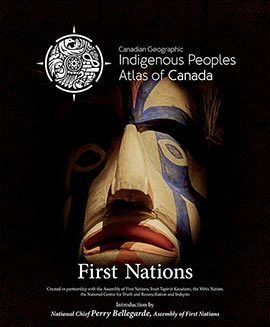 The atlas will be a powerful educational tool for all Canadians, affirming the Métis Nation, the Inuit and the First Nations, while helping Canadians and the world learn more about the true history of Canada. The remarkable resiliency of the Métis Nation is a testament to the strength and determination of our ancestors. We honour their strength with the pride and tenacity with which we hold on to our culture, our values and our rights as a founding people of Canada. Here, more of our story is told.